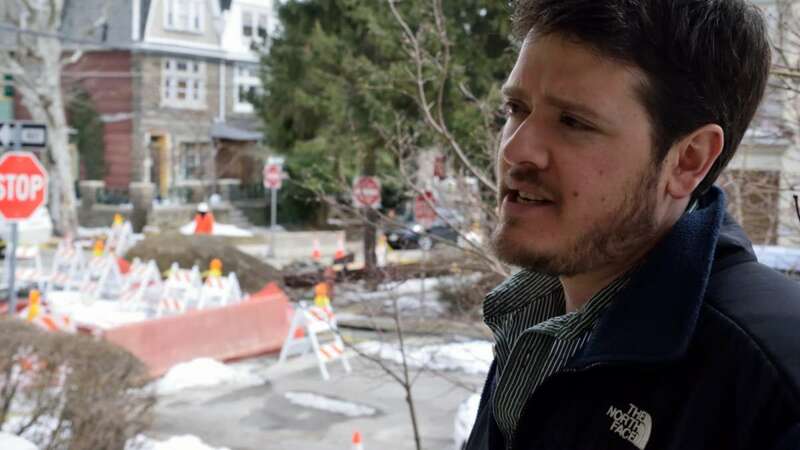 Martin Albert is a pretty patient guy, but he’s a bit tired of stepping onto his front porch and staring out at the intersection-sized sinkhole that’s swallowing the end of his block. 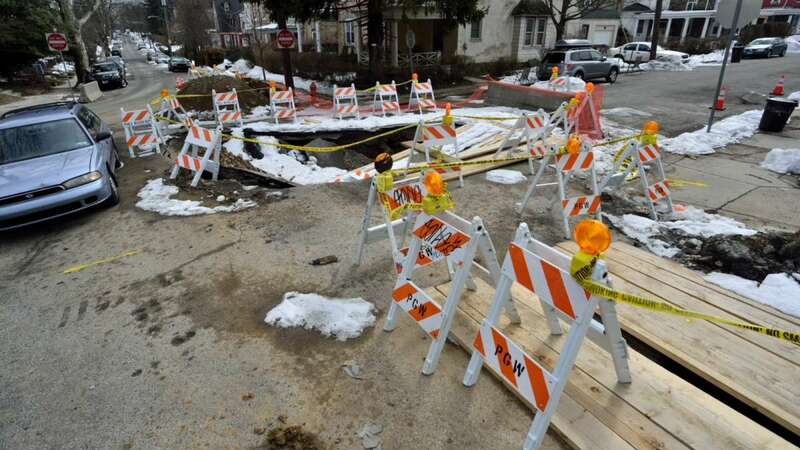 The crater first appeared on East Durham Street near Boyer after an eight-inch water main burst beneath the concrete and damaged a sewer line about two weeks ago. 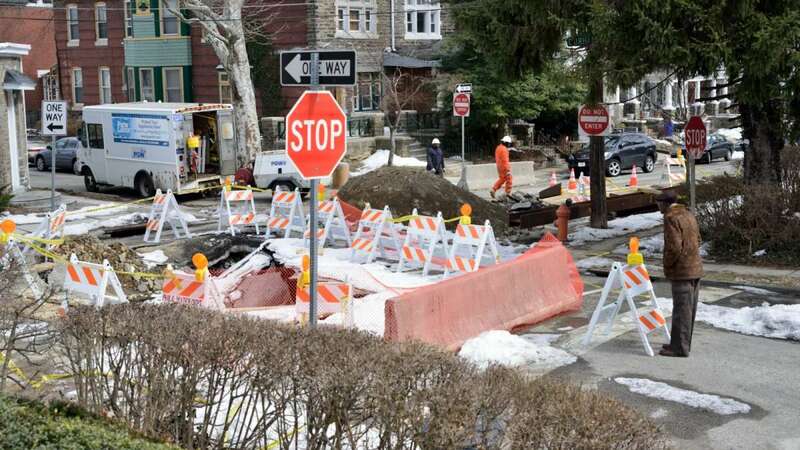 According to Albert, a stay-at-home dad, crews with the Philadelphia Water Department and Philadelphia Gas Works worked at the site around the clock for the next day or two. 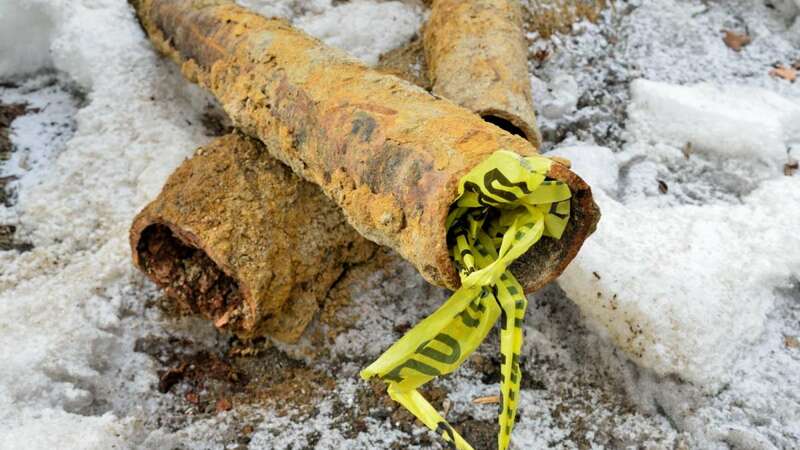 “They cordoned off the whole area and that was sort of the last we saw them,” said Albert. Traffic headaches ensued, as East Durham is a one-way street. That’s left residents to make a choice when they leave the house: Stay in reverse until Chew Avenue or drive the wrong way down the block. The sinkhole has also created an obstacle which trash trucks haven’t been willing to brave. 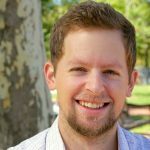 The Brooklyn-transplant said he understands that city departments are resource-challenged, but maintained last week that the hole had overstayed its welcome. 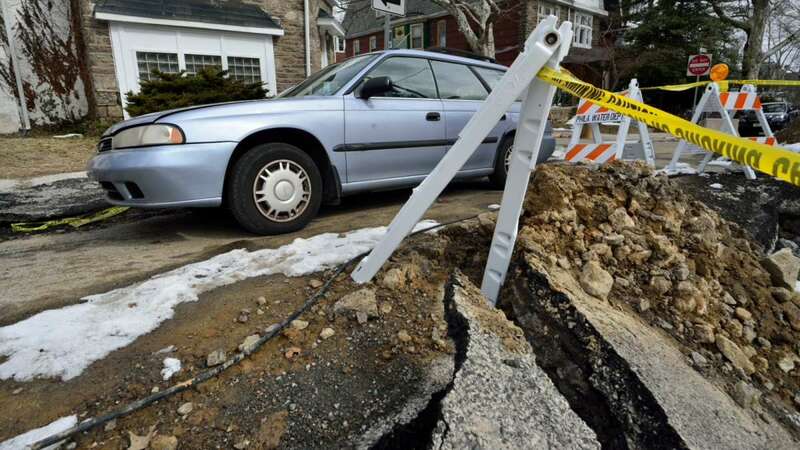 On Tuesday, a pair of PGW workers were on site. Albert almost couldn’t believe his eyes. “It’s nice to see somebody,” he said with a smile. 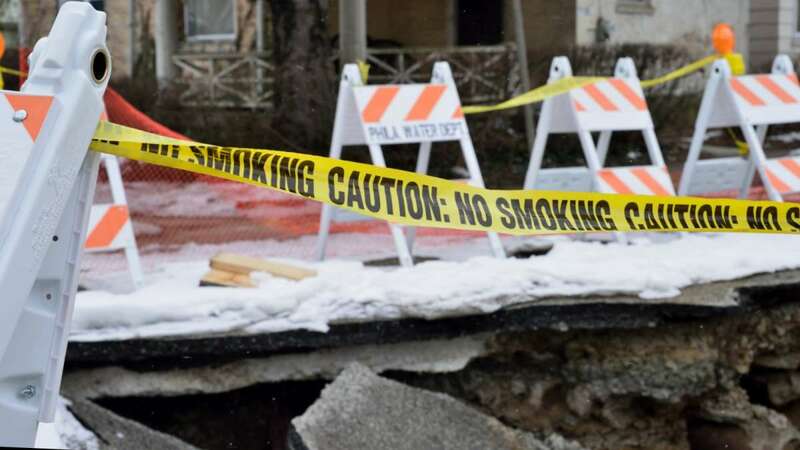 In an email, PWD spokesperson Joanne Dahme said the street should be patched up with temporary asphalt sometime in the near future, provided the weather holds up. Bad weather, like that forecast for today, has been responsible for the delay so far. 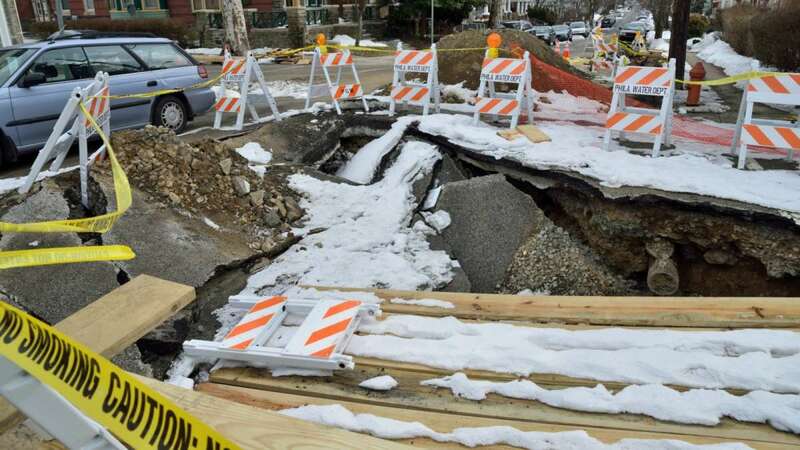 “That slowed progress and created a backlog of leaking or broken mains,” wrote Dahme. Crews with the Streets Department will return in the spring to place the permanent asphalt and offer Boyer Street some sense of normalcy.